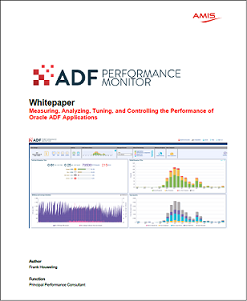 We are happy to announce that we have a new whitepaper on the ADF Performance Monitor. 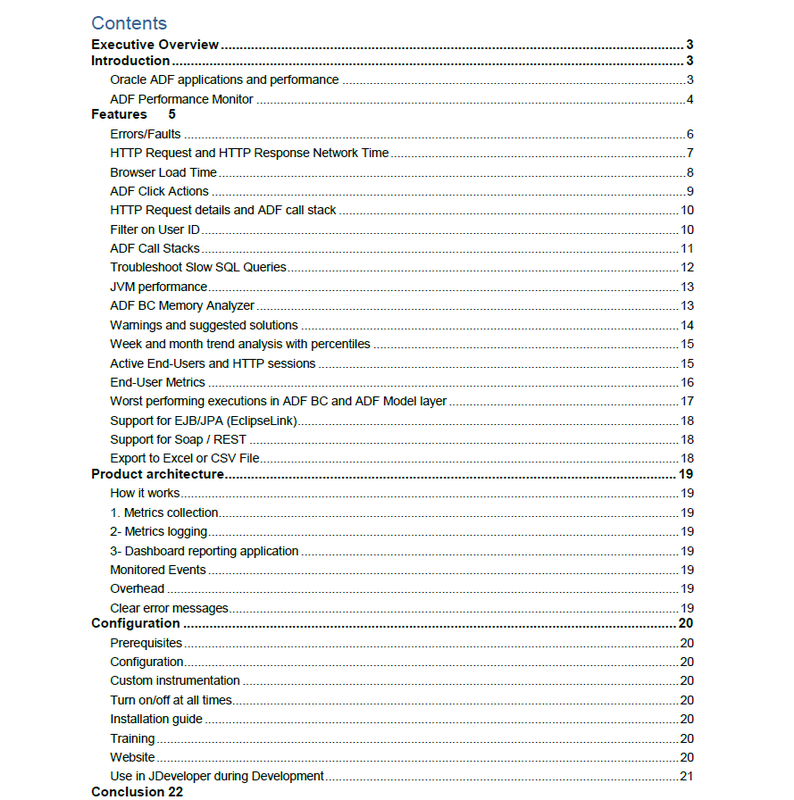 This blog publishes a new whitepaper that gives more information about the architecture, features and implementation of the ADF Performance Monitor. It is updated with the many features of our new major version 7. The ADF Performance Monitor is an application performance management tool (APM) tool that really understands Oracle ADF applications. It enables enterprises to maximize the value of ADF applications. Applications often contain frustrating blind spots and mysterious, recurring problems that are often difficult to identify, diagnose, and fix. With business-critical applications, it’s very important to have a simple and fast way to monitor, diagnose, and resolve application problems before they affect revenue. 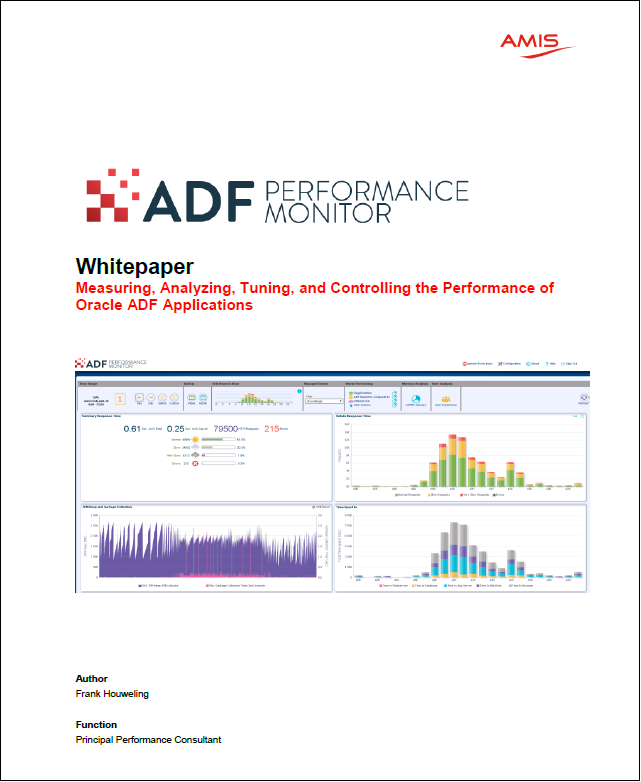 The ADF Performance Monitor is specifically designed for measuring, analyzing, tuning, and controlling the performance of Oracle ADF applications. It helps enterprises by delivering insight into real end-user experiences. It helps development; QA teams and administrators detect, analyze and resolve common and less common issues in response times and resource usage of ADF applications.